Nestled in the heart of the peaceful Sonoma Valley, located one hour north of San Francisco, Hanna Boys Center has been providing a “haven of hope” for struggling young men since 1949. Serving troubled boys between the ages of 13 and 18, the center draws youngsters from as far away as Washington State and North Carolina, though most come from the greater San Francisco Bay Area. Named for Archbishop Edward J. Hanna, the center was founded by Monsignor William J. Flanagan and Father William L. O’Connor as part of the Archdiocese of San Francisco. Originally conceived as a residential school for underprivileged youth, Hanna Boys Center now caters to at-risk boys with a variety of challenges. With an average resident population of 100 boys, the Center nonetheless receives up to 600 inquiries each year and has strict guidelines for admission. Families are charged tuition based upon their financial situation. No boy is ever turned away for financial reasons. Hanna Boys Center provides its students with full-time residential treatment and educational services along with health care, physical education, sports and recreational opportunities. The on-campus school is fully accredited, and some students also attend classes and sporting events at Sonoma Valley High School. To learn more, visit Hanna Boys Center. Brian Farragher and Supervisor Susan Gorin present Thai Hoang with this year's Star Award. Thai offered his professional experience with computer software to help Hanna after seeing the boys assist with Sheep dog trials in 2013. He has spent countless hours with Hanna's staff to identify specific needs and upgrade client support software. Thai majored in computer science at Rice and became a consultant specializing in financial systems implementation. He and his wife started a software company serving the healthcare industry for 25 years. 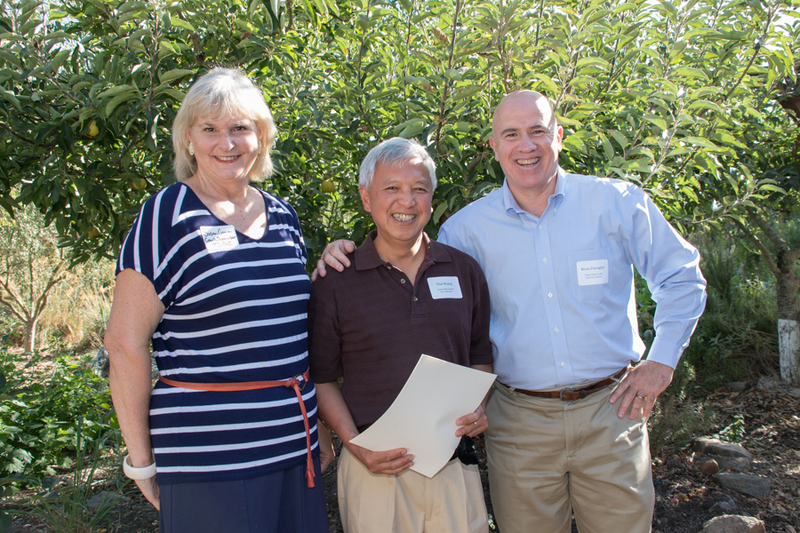 Thai came to Sonoma County in 2012 to plant a vineyard and created a welcoming home with his wife Cindy.